What do you remember most from your academic past? 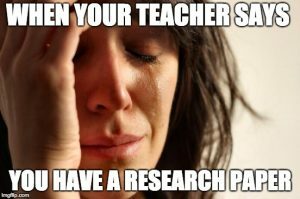 It probably isn’t the monotony of research papers and worksheets that you had to do each year. Most likely the educational activities which you remember most are those that were more engaging, exciting, and interactive. All students have different learning styles and they will not learn to their highest potential if they’re not interacting with their work. Students learn in various ways ranging from auditory, visual, or kinesthetic depending on their personality types. Personally, I fall more toward the kinesthetic end of the spectrum because I learn best when I interact with what I am learning. A prime example of kinesthetic assignments tends to be projects that allow me to expand on my thoughts and go as in depth as I choose and reflect back on later when I need to remember what I had learned. Imagine you’re in your classroom having to create a lesson plan on the structure of a cell. If you give your students a fill in the blank worksheet they will simply be focused on completing the worksheet and submitting it. However, if you give your students a hands on interactive project to make themselves that is either edible or simply made of unique and unusual materials then the students will be more likely to reflect back on this experience later and have a better recollection of what they had learned because they would have had to have understood what each part of the cell looked like so that they could accurately represent it and place it appropriately in the cell; thus, developing a greater level of knowledge on the subject than that of a fill in he blank worksheet.